Business 2.0 Magazine invites you to vote for the businesspeople who inspire, inform and infuriate you, from CEOs to entrepreneurs to media stars. It's not easy being Google's chief competitor -- and getting left in the dust. But Yahoo's made some smart moves thanks to Decker. 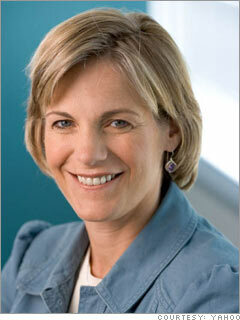 As CFO, she was instrumental in rebuilding the Internet giant after the dotcom bust and regaining Wall Street's trust. Now she's turned to dealmaking and may be in line to be the company's next chief executive. In December, CEO Terry Semel appointed her to run a new advertising and publishing division critical to the company's future. Already Decker has forged advertising partnerships with 200 daily newspapers as well as eBay.